Discussions of Baahubali 2 movie are going on. After smacking in India, Baahubali 2 film USA country is also very active in America. American viewers are very much like this movie. This film has overtaken the movie of Hollywood's big star i.e. Tom Hanks, who has recently released the Circle movie. The film also includes big Hollywood actresses such as Emma Watson. And it is also expected that in the coming time too, this movie is very big in the Box Office. Whether it is Bollywood or Hollywood. If you have not seen the movie Baahubali so far, then go to your nearest cinema house today. Along with the Hollywood film Circle, this film has left behind the recently released animated film Baby Bosse. While animated films are seen very much in America. But Baahubali, along with the sea side i.e. the Hollywood Film backtracked. 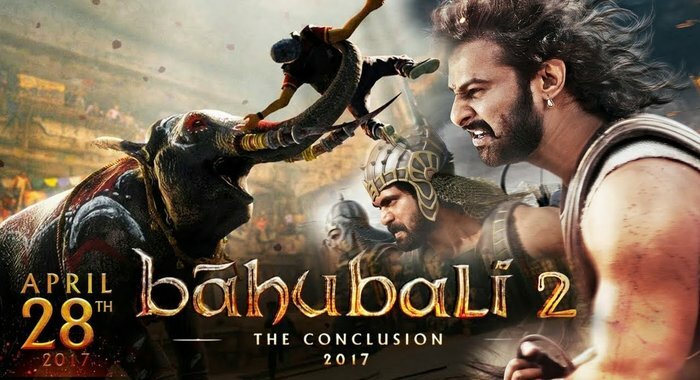 And if you look at the Box Office Collection of Film Baahubali 2, then the figure in India has gone up a lot from all the movies, that is, the films from Shah Rukh Khan to Salman Khan have given the clash behind. And by adding totals to 1000 crores this film has earned 10 days. You can think of yourself in this film that is very much like the audience. And according to the latest news, it is being said that after the success of the film, the fees of Prabhas have also increased. Where Prabhas received 25 crores of a film, after the success of this film, the fees of Prabhas have increased from 25 crores to 30 cores. Prabhas Upcoming Film: And if you are a big fan of Prabhas, then we will also tell you that Prabhas's next film is Saaho, which will be released in the year 2018 and the people have given a good response to its trailer too.